YES, You can Wash and Dry Your Wedding Dress at Home! DO YOU HAVE A GORGEOUS PRE-OWNED WEDDING GOWN, BUT IT’S DIRTY? Dry cleaning is expensive, so instead, we’ve WASHED more than 200 wedding gowns at home. We can tell you how! GO TO ETSY for our how-to guide: ‘YES! YOU CAN WASH YOUR WEDDING DRESS AT HOME!’ You’ll easily download the 40-PAGE PDF GUIDE after purchase. Satisfaction guaranteed. The YES! guide walks you through cleaning step-by-step and has great pictures. It’s easy to follow and ensures great success. See our reviews! Our method is for 100% Polyester gowns only — most are. It’s not for silk gowns. Bride Lori C., San Diego, says: ‘I followed the steps, and my dress is spotless! Perfect! This book saved me AT LEAST $200. Thank you! Thank you! WE WASHED all the gowns pictured below. You can wash yours, too! washed and dried at home. It came out beautifully! Stunning bride Allison chose a gorgeous Oleg Cassini dress we’d washed and dried for her elegant, yet rustic, Colorado wedding. For her vintage wedding, Shauna chose an outstanding lace Oleg Cassini dress we’d washed and dried at home! What could be more dramatic than Zion National Park for Kimberlee’s special day? She chose a David’s Bridal dress with opulent beading that we’d washed and dried. Kelli, this is great news, and it’s amazing how well gowns of all kinds do in the washer and dryer! For the dirt left on the hem, you might try to technique of putting the gown in a dry cleaner bag to protect the part now being washed, hanging it on a kitchen cabinet door and washing the hem in the sink. Sometimes I put a dishpan in the sink and spray the stains with spray and wash, then soak for several hours in hot sudsy water. Then, I come back and scrub. Let drip dry. Good luck, and glad the article helped, Kelli! HELP! I bought my wedding dress two years ago in hopes to wear it when I renew my vows. In spite of several deaths, the renewal of vows were put on hold. Now, I’m goimg all in om August 16, 2014. We’ve been married soon to be 14 years this August, but together for 17 years. When I bought my dress, somehow a blue spot got on there……now its all over yhe dress. I wasn’t able to upload a picture, but I’d be more than happy to email one. Its made from China, 100% polyester. Please help. I want to try to wash it. The cleaners are charging $175. Christina, do send a photo of the blue on the gown to thesavvybrideokc@yahoo.com. I’ve never heard of blue spots appearing on a gown, but what I’d do to start with is pick a spot that’s out of the way – maybe on the back bottom of the gown and try to wash it out with mild soap and water. Try that and see if it comes out, and then let me know. Whoa!!! Thank you for the quick response! I already sent you several pictures of the blue over the dress. Blue Aliens have taken over my dress! Lol. I really appreciate this! I got out my wedding gown because I wanted to turn it into a Baptismal gown when I heard a friend did this. I never got it cleaned after our wedding years ago, so there are some champagne stains on it. I had begun cleaning them by hand. Also, the dress has yellowed ever-so-slightly. I had decided to put it in the washer, but did a quick search online to see what I could find out on doing something like this. What a great find here! Though my dress is 25 years old, it IS all polyester. I’m going to put Shout on the stains and wash it on delicate tomorrow. If I can’t get it clean enough to retrieve fabric to sew for grandbabies’ Baptisms, no loss! :-) I’m so encouraged! Thank you for this! I am donating my gown to Helping Hands and they will turn it into a bunch of angel dresses for babies that do not make it out of the hospital. Heather, this is so wonderful, and it makes me choke up! Bless you for thinking of this. I’m so glad we could play a small part in it. I bought my dress second hand, and it really needed a cleaning. I saw this on Friday, and tried it Saturday. My dress looks good as new. Thanks so much…ONE HAPPY BRIDE TO BE!!! Mary, This is wonderful, and we’re SO glad it worked and your dress looks great. It is truly amazing how much fresher and better any gown looks that’s been cleaned this way! Would you be willing and able to send a picture of your clean dress (or before and after pics, if you have them) that we could post on Facebook, or use in the article as more examples? Just followed your instructions of prewashing hem, stains etc. Put it in my front loading Whirlpool on Ultra Handwash and Low spin with Zero laundry soap. It looks awesome! Thank you for giving me the courage to do this, as I had already thought of it. No bead damage on this $2,000 dress and very minimal wrinkling. I can basically smooth out the fabric with my hands. Saved over $200!! I really want to try this but I’m so scared ill wreck the beading on my gown….I have a photo shoot in my wedding dress in 3 days and was thinking it needs a quick wash…. Malissa, here are two options: 1st, photos in a photo shoot will not show up any dirt, so you might wait until that’s over. or 2nd, wash the bodice and / or hem in the kitchen sink and let the gown drip dry. This is much easier on the beading. Good luck! I was desperately looking for a way to clean my gown as I did not have the money to take to the cleaners. I pre treated the hem and lace. I can’t believe how beautifully clean it is! It looks brand new. Now to part with it and hope the next bride loves it as much as I did. Whoever wrote this article needs to be shot! no way should you be putting these in a regular size machine. Dress is stuck and probably wrecked, thank you. “Even opulent dresses will fit”. I don’t think so!!!!! Hi, I my wedding is July 25th and I am wearing my mothers dress from her wedding 4 years ago, now let me tell you it is a mess, I ran across your blog and thought wow I really dont have $185 to have it cleaned. My mom had gotten spray tan all over the top and mud on the bottom, as she had an out door reception. Well moral of the story I love your blog and finally worked up enough nerve to soak the bottom in the tub and putting it in the washer on delicate. I am so nevers but so excited to see how it turns out !! I cant wait to let you know..
Sabrina, We’d love to hear how it turns out, and to see pictures!! Best wishes for your wedding! I am definitely going to give this a go for my daughters gown. Most of the work will be the train and hem. If it doesn’t clean up well I think it would be best to change the length of the gown. It is a gorgeous gown, but getting it clean before selling it should not be stressful. Wish us luck! Thanks for the tips. I treated the spots and washed it on a delicate cycle with no detergent and I was shocked when it came out clean. It was dirty and stained and had been sitting for over 10 yrs. It did get a little twisted in the washer, but no damage done. Hopefully I can sell it now. Hi, I’m so glad I found this article. I have a 22 year old wedding dress that had no tag on it for fiber content, so I did a burn test for fiber identification on a 1 inch piece and the result matched polyester. So now I’ll be washing it in the washer, but do I use warm water or hot water? Also, I’ll be dyeing it with a polyester dye (Rit Dyemore) in the washer. I have a formal dress with polyester and acetate and metallic thread. Any idea if I can apply this washing method to this dress? Tag says dry clean only. You might have good luck with only cleaning the underarms, but that also might leave water rings under the arms as it’s very hard to get all the soap and dirt out. You might be able to do small cleaning sample in an out of the way place. Best wishes! Thank you so much for this article!! I followed your instructions, and every dirt spot/sweat mark is gone! I was a bit nervous, as there is a lot of beading on the dress, but nothing came loose. I will need to iron a few spots, but I could not be more happy! Thanks again!! This is wonderful news, and I’m so happy your dress came out beautifully. I think it’s amazing how great a dress can look after a good cleaning. I’d love to see a photo of your dress, if you have one. If possible, please send to thesavvybrideokc@yahoo.com – Best wishes and thank you! I am absolutely shocked. Our wedding was over a year ago and my dress has been sitting in my closet ever since. I wish I would have taken a picture of the damage I did to that dress. It was COVERED in red wine, huge yellow spill all over the bottom half of the dress — I mean, it looked honestly unsalvageable. I bought Wine Away and sprayed it all over the numerous red stains that covered the dress and tossed in the dress without doing anything further. I didn’t bother to clean the hem or anything because I figured there was no way this would work. To my astonishment, my dress is as white as it was when I purchased it. I’m completely shocked. It is a polyester/polyamide blend dress full of lace and beading. I washed it with woolite on the handwash cycle and chose the shortest cycle. Additionally, I checked on the dress every couple of minutes to ensure it wasn’t tangling. THANK YOU THANK YOU THANK YOU for this wonderful article! Hi, I would love to wash my dress in the washer, but I’m afraid because it has all sorts of support wires and I don’t want the machine to twist them. Should I be concerned about this? I just washed my dress. It’s 100% polyester and I’ve just transferred it to the dryer. Looks like all the stains came out and the dress is still intact! Yayyyy! Now waiting for it to dry. My dress came with a beautiful horsehair tulle skirt overlay thing. I did not wash it but the bottom is pretty dirty. I had an outdoor wedding and reception. How do you think I should wash this overlay? The shape of it is just gorgeous and I’m afraid to ruin it! So glad that it turned out well!! I’m not sure what your horsehair overlay is made of. You could wash a small area on the hem and see if it washes out OK. If it does, you could wash it in the bathtub. But, not seeing the overlay, this is a “try at your own risk” sort of thing. I’d love to see photos of the clean gown. Thanks for letting me know! Thanks for the tips!! Dress turned out amazing. Mind you it wasn’t super dirty to begin with but the stains along the hem had been sitting for 3+ years. Now I can move along to framing it for my closet. Thank you again. Megan, Sorry for the late reply as we’ve been away and just returned. Thanks so much for letting me about the great results on your gown! I’ve been amazed myself about how well machine washing works. What do you mean by “framing it for my closet”? Best wishes to you, and thanks again for letting me know. Wow! I borrowed a dress and the bottom of it was a disaster. Lots of layers and bead work but 100/ polyester. I really thought I wouldn’t be able to use it. No way was dry cleaning going to work. I pre treated it as you said, soaked it for an hour and then delicate cycle. Fluffed it in the dryer for 15 minutes on low and it’s PERFECT! Yay, thank you! I saved $200! Susan, Thanks so much for this great message! I’m so glad your gown came out fresh and clean. I always find the results kind of miraculous! If you have pictures, possibly, I’d love to see them. Best wishes to you and enjoy your dress! I want to clean my daughters wedding gown. It has a chiffon over lay can I clean it the same way? Hello Deborah, Yes, you can wash it the same way basically, but chiffon is delicate and prone to runs in the fabric and to damage. So, you need to be very careful with it as you wash it, handle it and dry it. Be sure it’s washed on cold and dried on the lowest setting possible. Be sure it doesn’t catch on a corner of the washer lid or dryer door. If the overlay still has wrinkles after drying, hang it up and carefully steam those out. Best wishes with the gown! Hi I bought a wedding dress for my vow renewal in july, I’ve had it hanging up to try and let the wrinkles fall out of lace that’s on top of the dress., but they havnt fell out, tried ironing on low to med heat but no luck, even tried hotter iron with wet towel still no luck. Should I try washing it and see if this helps? Hi Sharon, Before I washed it, I’d steam it and see if that works. Often if you don’t have a steamer, you can borrow one from someone. Even a small hand steamer is worth a try. Washing the gown will depend on what the fabric is. See if there’s a fabric tag inside the dress. To wash it, you need for it to be 100% polyester. But even if you wash it, you still may have the same problem with wrinkles in the lace. Your best bet is to try steaming first. Good luck and best wishes with your event! I acquired a free wedding dress for a friend. Every dry cleaners wanted to change 100-200 to clean the dress. I was. Almost going to give up until i found your site. I cleaned the dress in a jumbo machine with a tiny bit of bleach and regular baking soda detergent and it came out so bright beautiful and white. Thank you for sharing such valuable information. My buckets thank you. I followed all the instructions for my daughter in laws 25.00 gown from a resale shop. The gown came out perfect, used a pre-spot, natural detergent, high efficiency hand wash cycle, delicate cycle on dryer to get the excess moisture out. I laid the damp gown on a sweater dryer so air could circulate beneath the gown, used one of those plactic ballcap holders that is used to wash a cap and propped the bust area up to air dry and then laid it on on the kitchen table for days to air dry and draped the train over the edge of a kitchen chair. Came out just like it was brand new! I was scared but had no choice and this was done 5 days before the wedding! I was glad to see your article! I found a 1970’s wedding dress at Goodwill for $20 (yay!) for a photoshoot coming up. The cleaners wanted $150 to clean it. The lady there was kind enough to tell me what they would do-wash it and hang it to dry, just like you said. So i went home and did it myself. It got so much whiter than I was expecting! I’m extremely happy with that but now I need to get the wrinkles out… and they’re bad. The tag doesn’t say what it’s made of but I’m assuming polyester, but of course we cant be sure. Just for reference, it has three layers: a chiffon-type top layer with appliques and stretch lace sleeves, a tulle layer under that and then the under lining. Can it be ironed or is steaming necessary? The age of the fabrics makes me nervous so your input is SO appreciated! Thanks for your awesome article! Kimberly, this is just a wonderful story, but I know about the concern with a really wrinkled dress. Steaming is most likely the best way to get wrinkles out of your gown, particularly since the chiffon-type fabrics must be handled carefully and because of the age and the uncertainty about the fabric content. I’m working on a book about my process, and I have a new chapter on steaming and ironing that’s been written. Please email me at thesavvybrideokc@yahoo.com and I’ll send you a reading copy of that chapter at no charge for your use. Thanks so much for being in touch with a great story! I have a wedding dress that has been sitting in my closet almost four years now and has aquired some yellowing, not to mention has a spot where I spilled some wine. I just wanted to know what type of prewash I should use. I have stuff such as oxi-clean stain remover and Clorox2, would that work or if not, could you recommend a particular pre-wash? Thank you. Kiersten, Sorry to be late to reply to your message. I’ve been out after having surgery, but I’m recovering well. I have never used a specific pre-wash for wine stains, but I received this message several months ago from a bride who had wine stains on her gown and had very good results with the product she names. Please use this at your own risk. It is the only option I’ve heard of. Our wedding was over a year ago and my dress has been sitting in my closet ever since. I wish I would have taken a picture of the damage I did to that dress. It was COVERED in red wine, huge yellow spill all over the bottom half of the dress — I mean, it looked honestly unsalvageable. I bought Wine Away and sprayed it all over the numerous red stains that covered the dress and tossed in the dress without doing anything further. I didn’t bother to clean the hem or anything because I figured there was no way this would work. To my astonishment, my dress is as white as it was when I purchased it. Best wishes, Kiersten, and please let us know how your gown did! I bought a used dress from a girl that stored it in a very dirty box. There were so many stains, but I figured dry cleaners could get it out. When I arrived at the dry cleaners the first thing the attendant told me was that those stains will never come out and the cost is $165. I left it to let her do a couple of spot checks so that I wouldn’t have to pay if they didn’t. In the mean time, I Googled cleaning my dress at home and your site came up. I called the dry cleaners and picked up my dress to try and do it myself. Today I bravely sprayed all the spots with Shout and washed it(actually I said a prayer first.) I was so amazed!!! It still had a couple of spots so I sprayed it again and washed once more. My dress is perfect!!! Thank you so much for letting people know you can do this!!!! Dawn, I’m sorry to be slow to reply to your message, as I’ve just had surgery (but recovering well!). I am thrilled about the results you had and how much using our process saved. It is truly remarkable that this works the way it does! We would love to see a photo if you have one. Thank you so much, and best wishes for a wonderful wedding day. P.S. Thanks for your great story telling ability, too. We loved your post! I just washed my gown. Inside out, with a bit of vinegar, delicate cycle, pinned a sock to the beautiful embellished belt. I’m SO happy with the results! I had fake tan on and left stains by the armpit areas- ALL gone. I wore the gown on sandy beach for photos- ALL white and clean now! WOW. I love my new washer! This post helped me confirm that my idea of throwing the gown into the washer wasn’t crazy. Checked the tag, said polyester. Martina, This is wonderful! How great that your gown washed so beautifully, and what a great idea about pinning a sock to the glitzy belt. So glad you have a beautiful, clean gown again. HELP! We bought my daughter a gorgeous dress at a charitable sample shop in Virginia. The dress is fairly dirty with having been tried on by many bride’s-to-be. We were told to have alterations done before having the dress dry cleaned, so we proceeded. When she was going for her first fitting for alterations, she fainted, fell face first and the result was a gash across the chin and LOTS OF BLOOD all over the front of the dress! While I gathered my daughter and headed straight for the emergency room, the alterations staff (a fabric store in town) jumped to and worked on getting the blood out of the dress. They made a solution out of hydrogen peroxide, Dawn dishwashing liquid and yes, my daughter’s saliva. (they had her spit into a little bowl before we left for the ER). They got all of the blood out with absolutely no sign of any stain or water marks. Now that the alterations are all complete, we took the dress to the dry cleaners. They said that you cannot mix hydrogen peroxide with dry cleaning chemicals. That the chemical reaction can potentially deteriorate the fabric or cause significant discoloration. The wedding is in 3 weeks and we are at a loss. The dress has no beading or decorations. It has lots of pleats over the chest and ruching around the bodice, but otherwise no embellishments. The tag says “Dry clean only” but it is 100% polyester taffeta. The dirt spots are mostly on the breasts, sides of waist and hem. I am so upset and need your advice! What a situation! I am so sorry about this especially about your daughter’s injury. I hope she’s had a full recovery! Since your daughter’s gown is 100% polyester, I feel like you can have a great result following the instructions carefully in my post on this site. However, if you decide to do this, please know that it is done entirely at your own risk. If you go ahead, be sure to pre-treat well all the dirty spot like on the bodice, sides and especially the hem. Go slowly and follow all the instructions. It will help you to have someone to help you. Since the gown has lots of pleats and ruching, you may have to steam it after washing and drying it, with some possible touch up by ironing. But, the gown may come out of the dryer with no wrinkles – that would be great. But either way, the gown can turn out just beautifully. I’ve written an addition to this article about steaming gowns and it has more info about ironing, too. If you’d like to get that info, let me know, and I’ll send you a copy. Don’t panic :-) I truly believe the gown will come out beautifully. Just be certain not to use a chemical spot cleaner or other chemicals – only a pre-treat product like SHOUT and laundry detergent. Please let me know what you decide to do, and if you clean the gown, I’d LOVE to see a photo. Best wishes to your daughter for a wonderful wedding day. I feel like one day this will just seem like a bump in the road! Would this work for a semi vintage ivory colored gown as well? Hi Jen, Thanks so much for contacting us! The big question is what fabric your gown is made of. If it’s silk, my method won’t work and shouldn’t be used. If your gown is polyester, it will. You can also google “fabric burn test” for info, as well. You can cut the fabric sample needed for the test from an inside seam. Then you can go from there. How do I dry my dress without a dryer? That is an easy question! When your dress is washed, wash your hands, take it out, and turn it right side out, zip, tie and hook all the closures, and hang it up. Smooth it all down. Then, you can air dry it – for at least a day or two days is better. Then you’ll need to steam it or iron it. I am so happy to landed on your page. I am in the process of purchasing 15 wedding dresses and some have stains – I am intending of hiring out the dresses to start up my own little bridal shop – long long over due dream of mine. So just the cost of drying cleaning the dresses – well just the thought was killing me. So one’s I have the dresses I am most certainly going to try your suggestions. Hi, Are you looking for a wedding gown? I no longer sell gowns on a retail basis, but I’d encourage you to see if there’s a good consignment store in your area that carries wedding gowns. In our area, Oklahoma City, we can highly recommend The Formal Niche Bridal and Formal, Yukon, OK. Their info in on Facebook. If there’s no store near you, we know these are good online sources: Tradesy, Preownedweddingdresses and Ebay. But, check to see if the gown can be returned, or at the very least, get exact measurements for the gown and check those against your own. We don’t recommend ordering a gown directly from China, because it’s just too iffy. A gown listing that offers all sizes and that asks for all your measurements is most likely a direct order from China. I’m wondering, will this also work on a wedding dress that has rouching, gathering all up the skirt? Because all I really need is to steam it. I never wore it. I gained weight right before. It’s been in my closet for years, and now someone wants to buy it from me. It is VERY wrinkled. Will a handheld steamer work for that style of dress? Hi Amanda, If your dress is very complicated but totally clean, steaming may be the best way to go. But I don’t think a hand-held steamer is powerful enough to do it. You’ll need one of the steamers that rolls on the floor with a wand to steam. Often you can borrow one from someone. You could wash the gown on very low settings, but there is the danger that some of the connections that create the rouching would break. That happened to me once. The gown would look very fresh, but there is that danger, and you might still have a major steaming job. How much steaming might be needed after washing is hard to predict depending on the fabric and other factors. All around your best bet might be to borrow a rolling steamer and go from there. Best wishes on getting your gown ready to sell! Such a great article and how wonderful of you to help so many brides and bride helpers by sharing your knowledge. I have a puffy dress, tool, chiffon polyester but it also has boning. Would the boning shift if placed in the washer and dryer? Karen, I hope the wedding was a great event, but it sounds like you’ve got a challenge with cleaning your daughter’s gown. You’ve really got three problems: wine, spray tan and mud. BUT, my booklet doesn’t address spray tan and wine stains specifically. Usually, when I wash a gown with spray tan stains, the stains will come out if I follow the instructions in my booklet. But, on one gown they didn’t come out, so I washed the stained areas in dish soap and soaked and gently scrubbed the spray tan areas – I soaked for several hours. The stains did finally come out – or at least about 95% did. I did find this article online about removing spray tan: http://www.youbeauty.com/beauty/remove-self-tanner-stains-just-everything/ So, hope you are able to remove all those stains! Also, brides have told me that they’ve had luck with a spray product, and when I googled that, Wine Off Spray and Wine Away Spray came up. So, those look like good options, but you might want to check Amazon for reviews of those. Clean the wine and the spray tan stains first before following the procedure in my booklet for washing the entire gown in the washer. Regardless, I have washed hundreds of gowns and I’ve only had two or three that I couldn’t get clean. Good luck, and I think you’ll be successful! 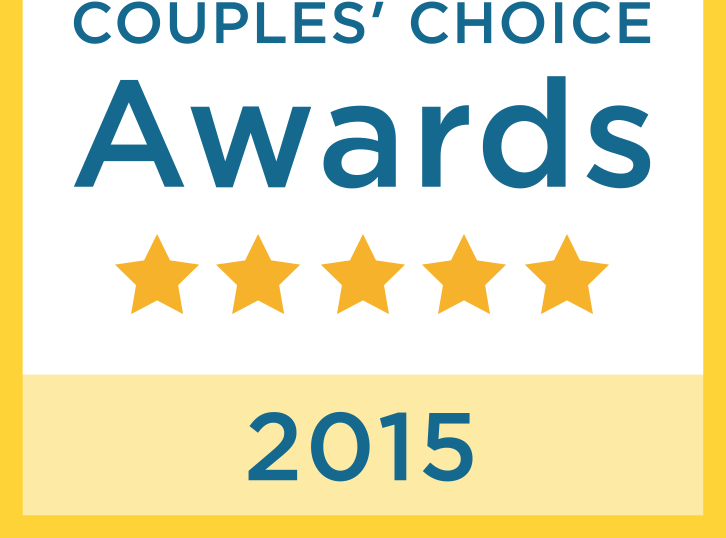 THE SAVVY BRIDE IS A WEDDING WIRE COUPLES CHOICE WINNER!